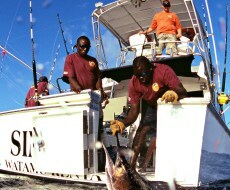 Simba Big Game Fishing - Watamu Marine Association. Simba and Jasiri are two big game fishing boats run by the Kenyan company "Simba Big Game Fishing Ltd" and have all licenses and insurances that are regulated by the government of Kenya for charter operations. Captain Mark Allen skippers Simba while his son George Allen skippers Jasiri. "Simba" as the name suggests, a fearsome hunter, beautiful lioness, queen of the boats on the East African Coast. His basic knowledge of fishing was gained in Britain from a very early age. Bored on a family holiday, Mark went out big game fishing and the "love affair" began. Over the last 20 years he has progressed from a client to one of East Africa's top skippers. "Jasiri" meaning to be adventurous was purchased by George in 2009 and had a full overhaul bringing her up to American charter boat standards. This overhaul included a new set of tackle custom built by Melton tackle. 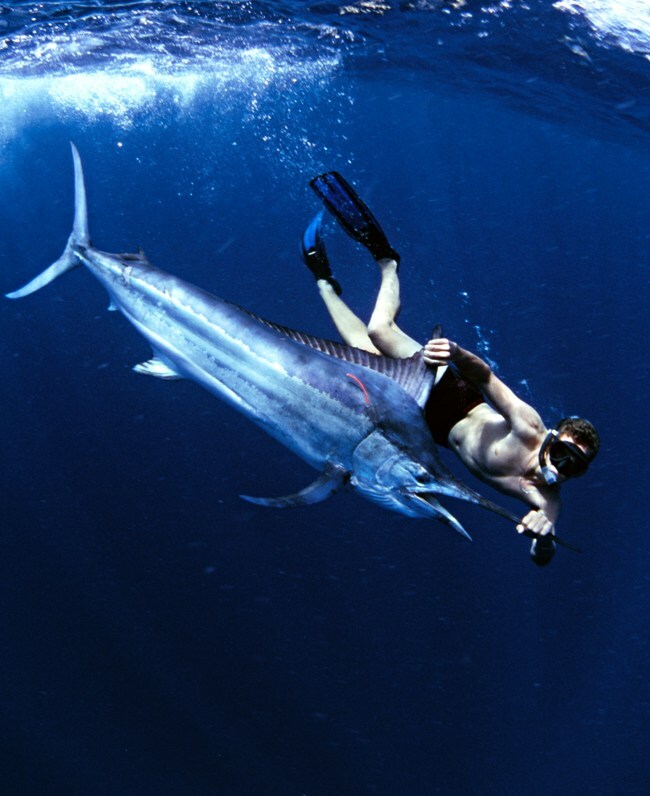 Extensive experience of fishing all around the world, from working as first mate aboard the Katherine B in Madeira chasing 1000lb Atlantic Blue Marlin to working in Trinidad and Tobago, Vanuatu and the Canary Islands. 2x 260hp 328 Caterpillar Turbo Diesel engines. 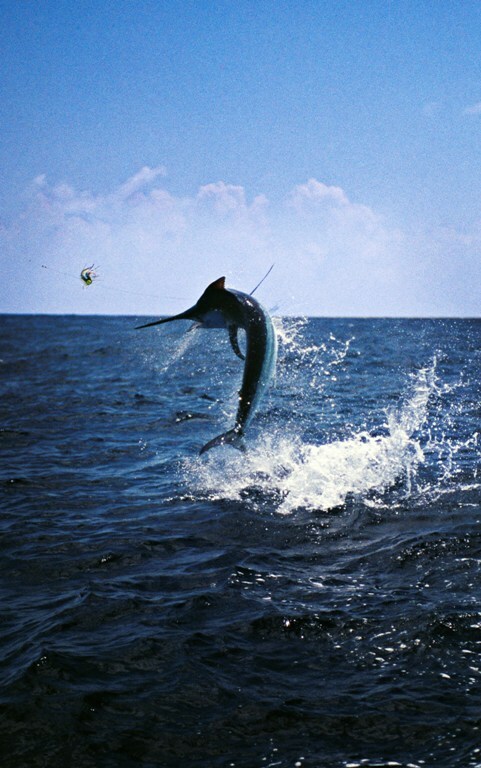 The crew and fishing tackle aboard both boats make them world top class fishing machines. 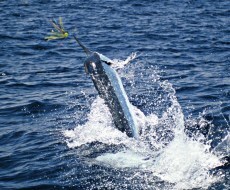 We specialise in catching billfish conventionally and on fly (which is Simba's forte) and play days (all round fishing). 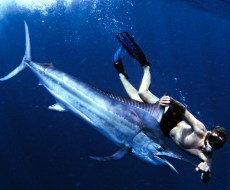 From a day charter to a 5/7 day fishing safari to the North Kenya banks and Lamu. Jasiri and Simba are equipped with the latest Raymarine chart plotters, fish finders , auto pilots, VHF radio and an entertainment centre-radio, DVD and ipod music system (aboard Jasiri). 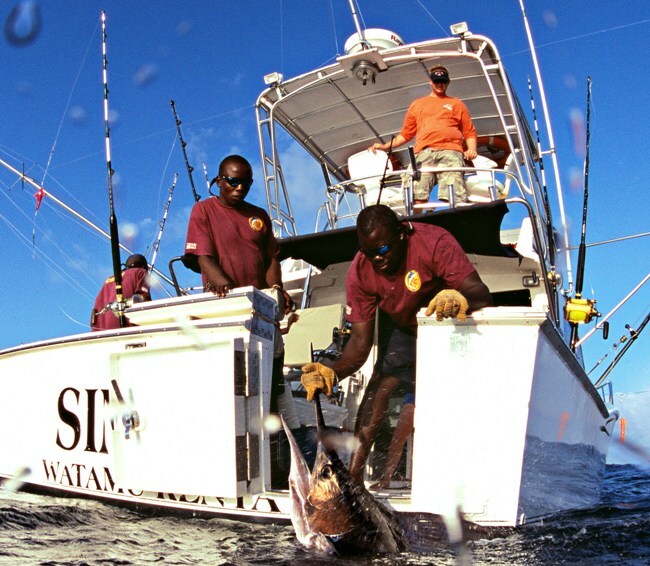 Both Simba and Jasiri operate a tag and release policy in support of worldwide billfish conservation. 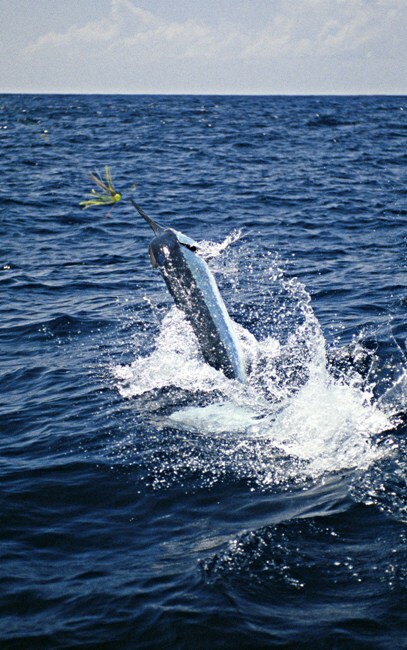 We endeavour to release all sailfish, marlin, and sharks (except for potential world records). Simba is one of Kenya's top tag and release boats. 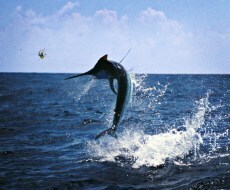 Our record over the past 5 years is 98% of billfish return to fight another day. As the fisherman you are the most important person and the captain will discuss your aspirations for the days fishing ahead making it an experience of a life time .